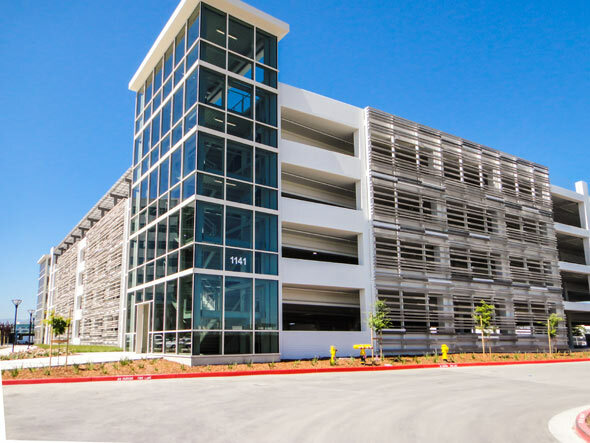 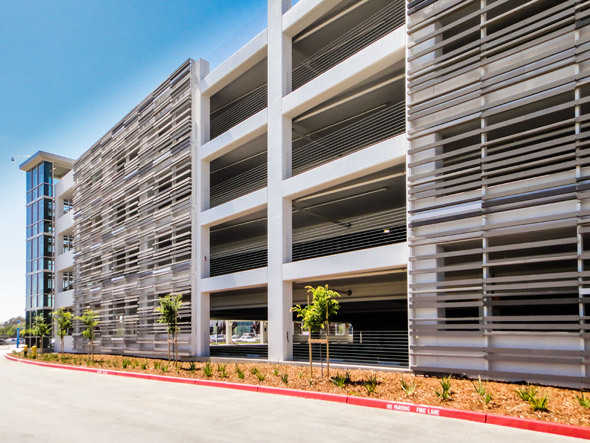 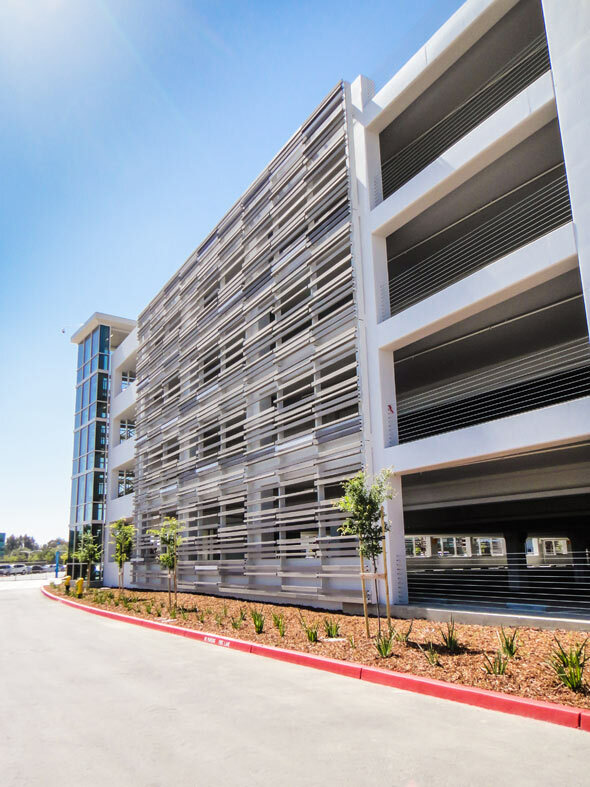 RMW Architecture of San Jose has recently designed a new parking garage structure for Juniper Networks in Sunnyvale, CA. 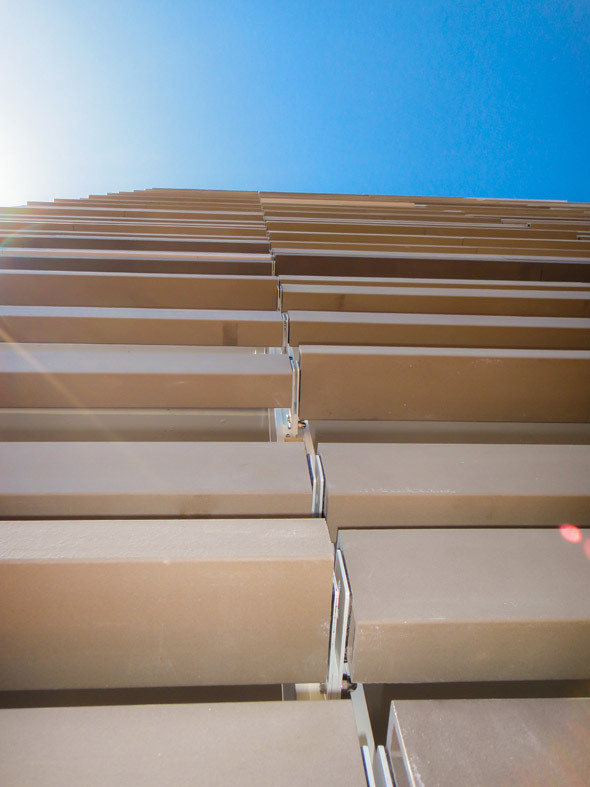 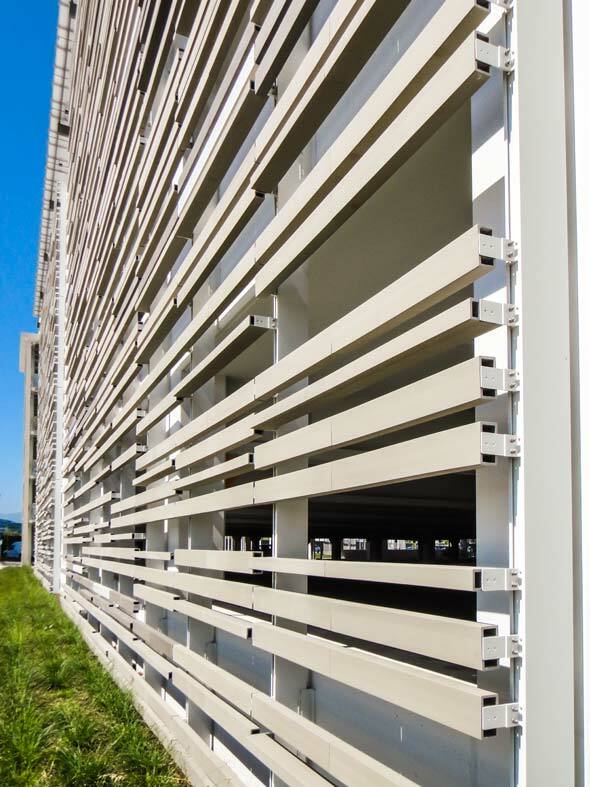 Using Terra5 terracotta sunscreens, the exterior of the parking decks were designed with 3 different colors and various sunscreen shapes. 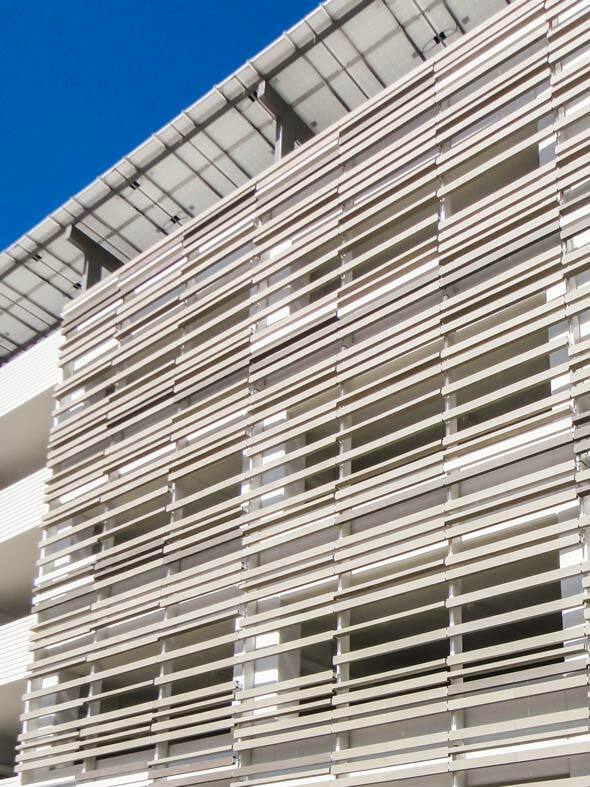 The sunscreens were attached in various angles to create more interest and depth to the exterior wrap.